Playing your own music, writing your own songs and wanting to record them yourself at home is a natural progression for any musician/songwriter. There are many ways in which you can do that and these days it is easier and more affordable than ever. In the past, most the high cost of quality equipment had kept this stage of musicianship in the realm of the music company or the already established musician with a record contract and a fat royalty check coming in every month. Before the maturing of the digital recording age and the advances in technology that made top quality equipment not only affordable but readily available to amateur and fledgling pro musicians, to record your songs at home meant buying bulky, expensive analog equipment. Items such as reel to reel tape machines capable of recording 4, 8 or 16 multi-tracks were essential, then another reel-to-reel 2-track mastering machine to mix down the multi-tracks into stereo. To control how the music was mixed you needed a huge mixing desk to put it all together. And to ensure a great sound, you needed stacks of expensive outboard sound processing equipment which could end up costing you as much as the main recording gear. But with what can only be described as a revolution in digital recording equipment over the last few years, the price of equipment has dropped dramatically. So did the amount of equipment you actually need to render a high quality recording of your songs. Gone are the bulky and cumbersome multi-track reel-to-reel tape machines. Gone are the huge mixing desks that could take up half a room. And gone is all the outboard gear that required so much patching via cable and space to keep it all. Nowadays, a small, portable 12 or 16 or even 24 track recording device that is no larger than a laptop can literally do it all for you. What's even more amazing is that it can do it as a standalone machine or be hooked up to your laptop via USB to take advantage of powerful digital recording and mastering software such as Cuebase. Today's home recording studio can live on a small desk alongside a laptop and a pair of good headphones. It's an amazingly compact, neat and versatile version of what used to take up a whole room! 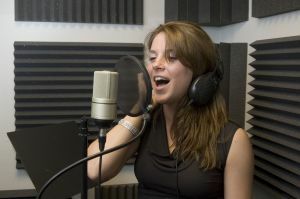 The serious home recording artist can get their ideas down in a jiffy on professional audio equipment that is affordable and relatively easy to set up and use. It means access to the kind of equipment that was once only in the realms of the big recording studios is within the grasp of many musicians who are keen to record their compositions by themselves in their own bedrooms! It's also great for those singers who gig in small bars with their own backing tracks. They can create those backing tracks by themselves and not need to work with generic tracks that can be flat and lifeless. It means being able to create custom tracks that no one else is using and even incorporate your own compositions into the set. Being a musician has never been so good!